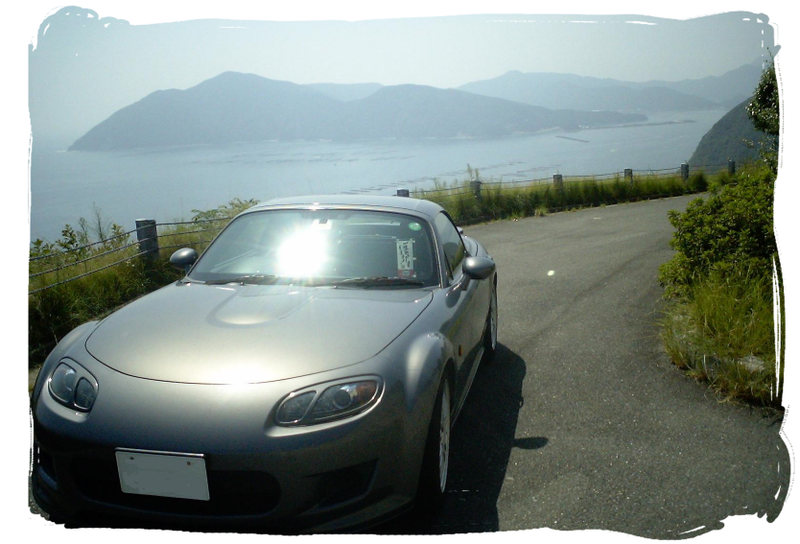 Wing's Roadster is an RS grade coupe model finished in Galaxy Grey from the Ōita region of southern Japan. The car features a range of aftermarket parts that reads like a who's who of the big names in the business. The most obvious of theses changes is the Mazdaspeed bodykit. This kit consists of replacement front and rear bumpers and a set of sideskirts. There is also a three-piece rear spoiler but it does not fit the coupe models. Fitting these bodykit parts transforms the look of the car and gives it a more aggressive appearance with a wider grille opening and integrated diffuser at the rear. 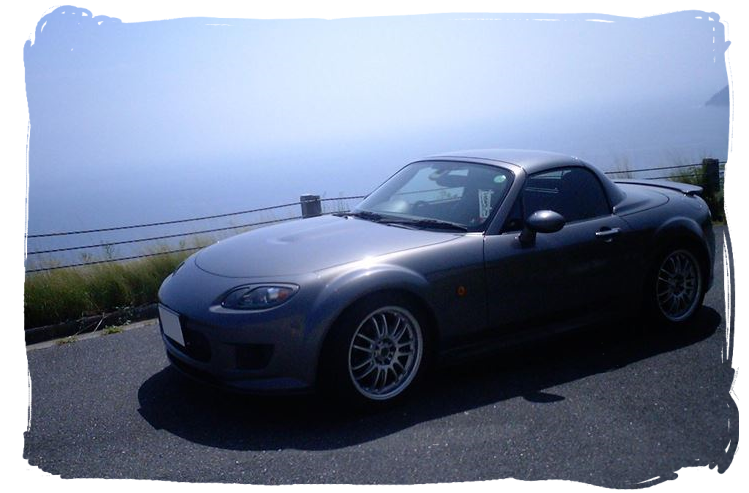 The front bumper has provision for foglights but they are not used here. 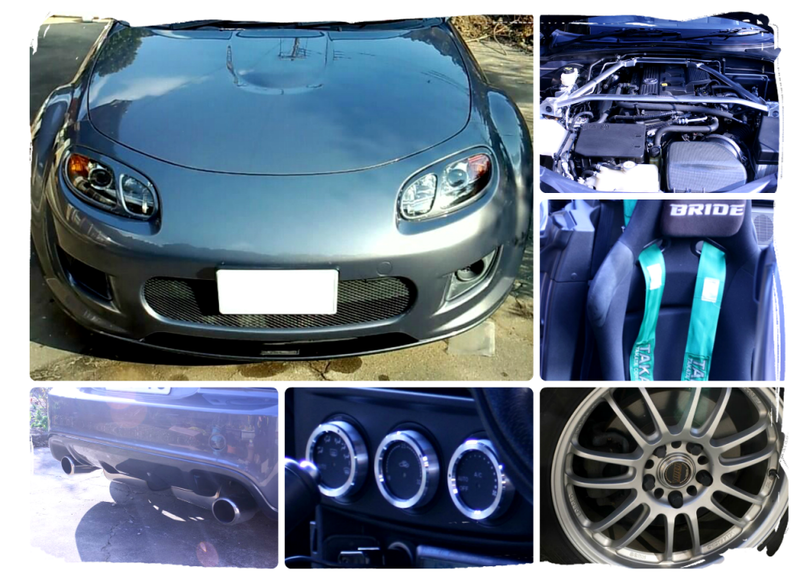 Other visual modifications include the AutoExe headlight trims and a Buddyclub rear spoiler. To improve performance Wing has fitted the AutoExe induction system which uses a fresh air intake scoop within the front bumper which leads to a carbon fibre airbox containing a K&N cone filter. 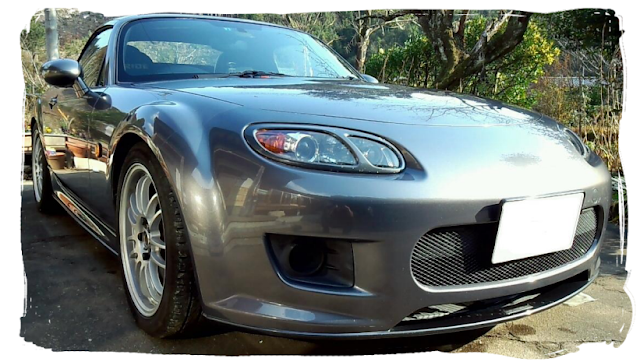 An HKS stainless manifold and Legamax muffler is fitted to give the car a real sportscar sound. Handling is improved thanks to the Ohlins DFV suspension, lightweight Volk CE28 forged alloy wheels, and a Carbing tower brace in the engine bay. Inside, the driver gets a comfy Bride bucket seat and is held in place with Takata belts fastened to a Beatrush harness bar. There is also a 280mm Momo steering wheel and various interior trim parts from Artworks Dewa help to brighten up the cabin.